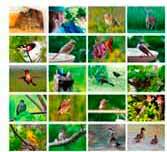 Mingling among the still-winter-drab goldfinches is a bird with stripes and a spot of red on its forehead. Talk about making my day! This is only the second time I've seen a redpoll at Birdwatching Dot Com. 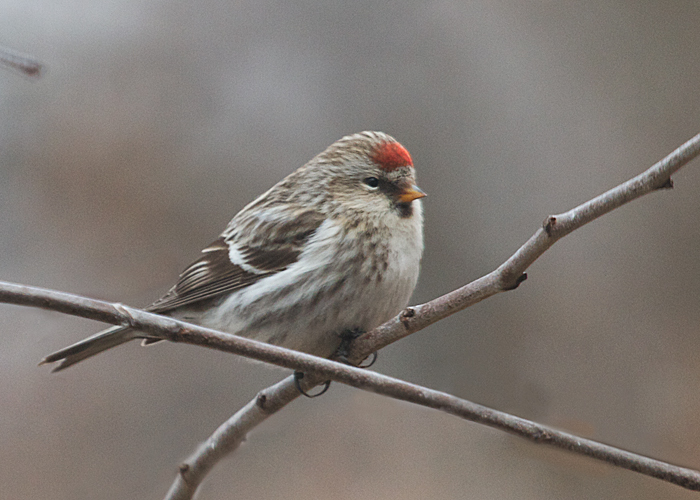 Around here, we call it an unCommon Redpoll. P.S. The common redpoll visited it too!